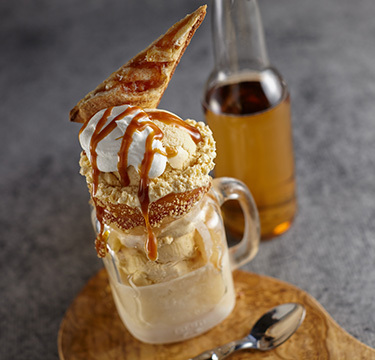 Begin with a tall pint glass rimmed in caramel and cinnamon streusel. Fill it with cinnamon ice cream and cinnamon apple compote, and then top with sparkling apple cider and plenty of fresh whipped cream. Top it off with a drizzle of salted caramel and a fresh slice of house-made apple pie. 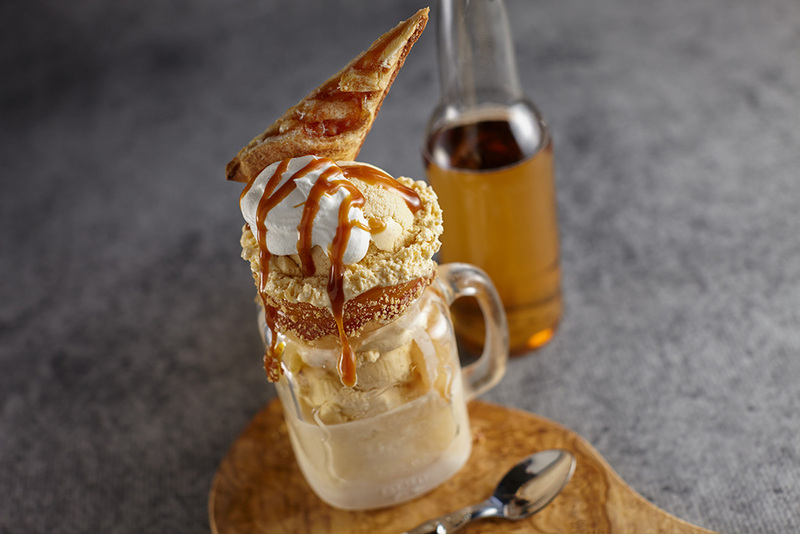 Dip a standard pint glass into salted caramel, and then roll the caramel rim in pie crumbs to create a crumb-rimmed glass. Scoop three #12 scoops of Blue Bunny Cinnamon Ice Cream into prepared glass. Top with apple compote and apple cider. Place apple pie over glass and top with whipped cream. Drizzle with remaining salted caramel and serve immediately. Apple hand pies can be substituted for a traditional wedge of pie.